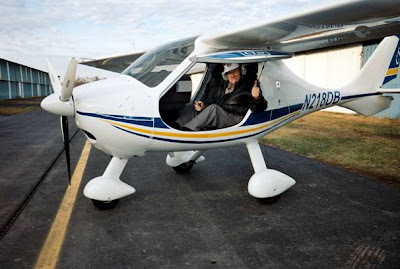 Here's a picture of my dad in his airplane. It was taken by my stepmom Iona. I am engaged in mortal battle with the Internet connection here at my studio at Manhattan Theatre Source. So far the slow Internet is winning.